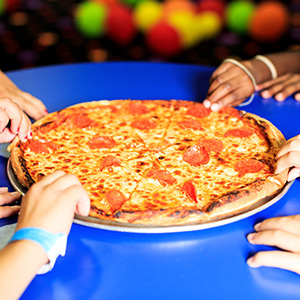 We've turned your favorites into a Pump It Up original! Freshly made, complete with fresh ingredients. 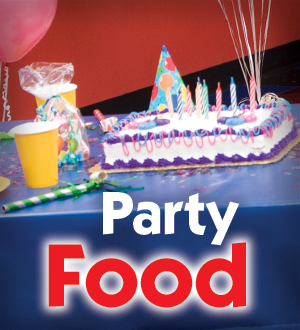 Let us simplify your party planning for you. Delicious hand tossed dough cooked to perfection. Classic marinara sauce topped with mozzarella cheese. Your choice of toppings. Delivered fresh from Domino's, pizzas are large and cut into 6 kid-friendly slices. Can be cut into 8 or 16 slices on request. 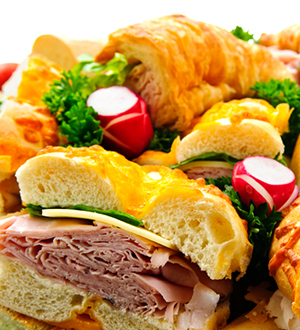 Our Combo offerings makes it easy to add on food for your adult guests. These are our most popular adult add-ons. Spice up your meal! 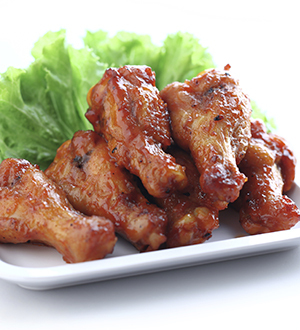 Choice of bone in or boneless wings. Sauce options: Hot Buffalo, BBQ, and Sweet Mango Habanero. 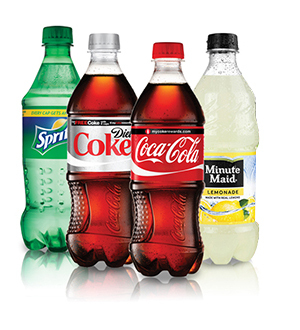 We proudly serve Coca Cola products: Coke, Sprite, Dr. Pepper, Lemonade, Apple Juice, Blue Powerade, Red Powerade, and Pink Lemonade. 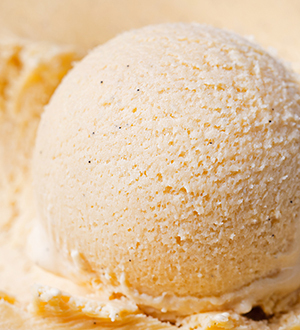 Ice Cream Cup options: vanilla or chocolate. Dippin' Dots options: Oreo, Rainbow Ice, Cotton Candy, Cookie Dough, Birthday Cake, Chocolate, Red Berry, Banana Split.